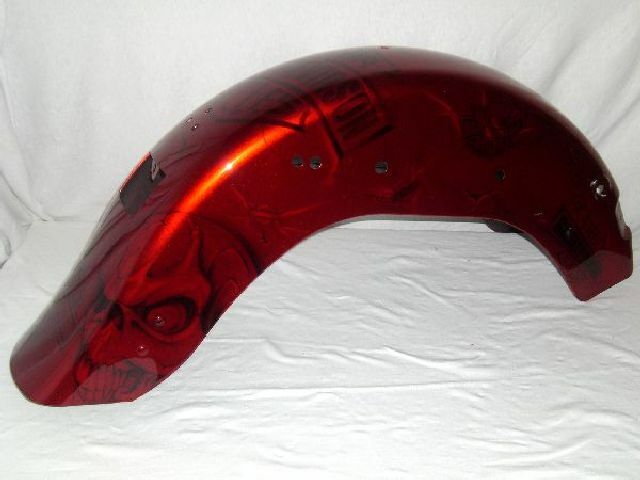 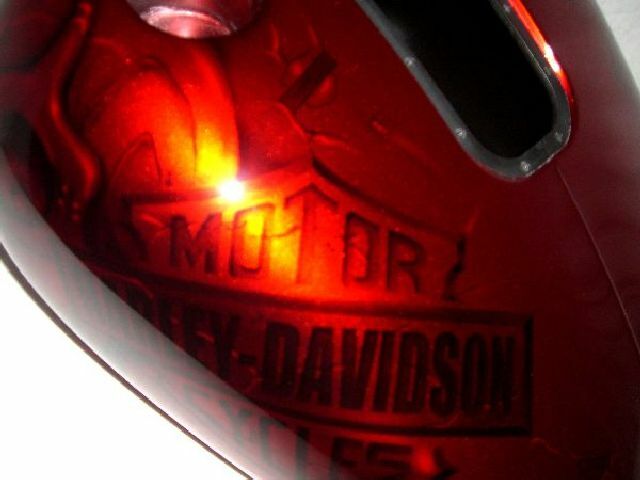 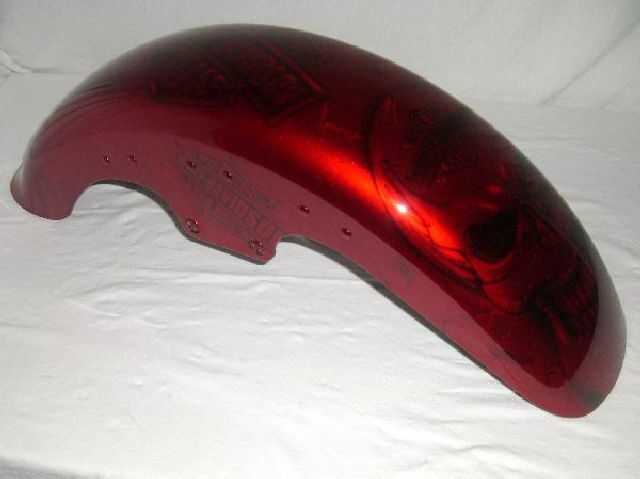 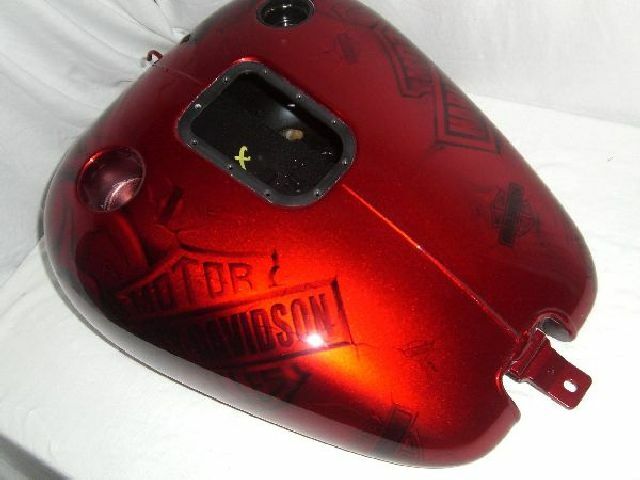 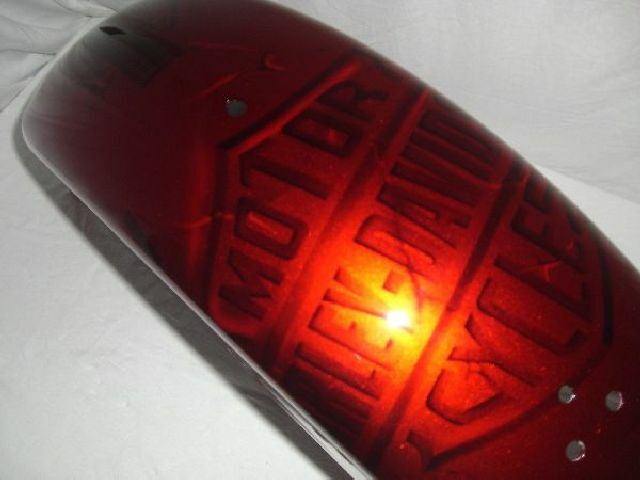 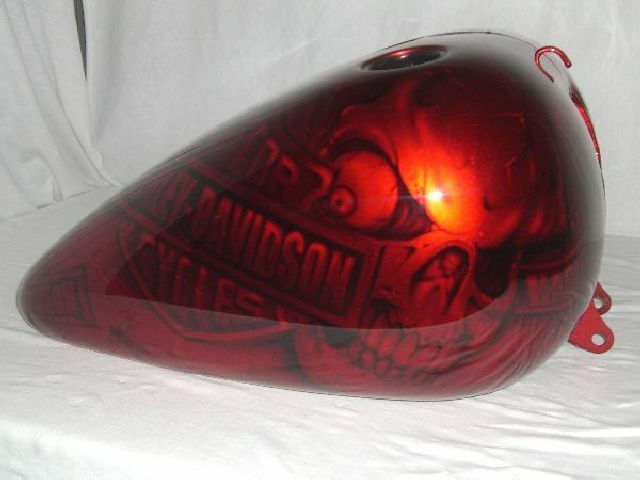 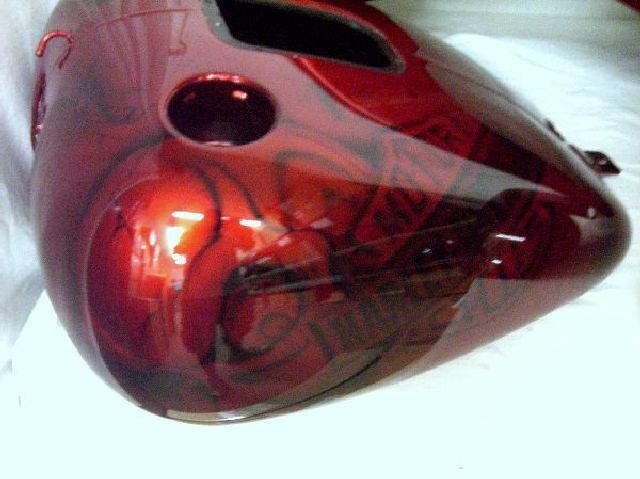 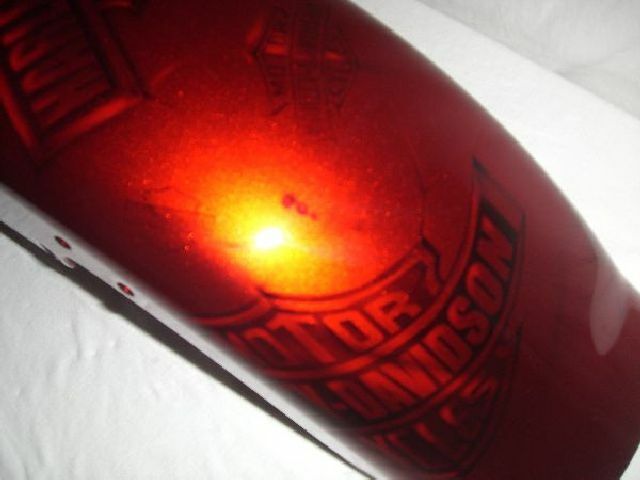 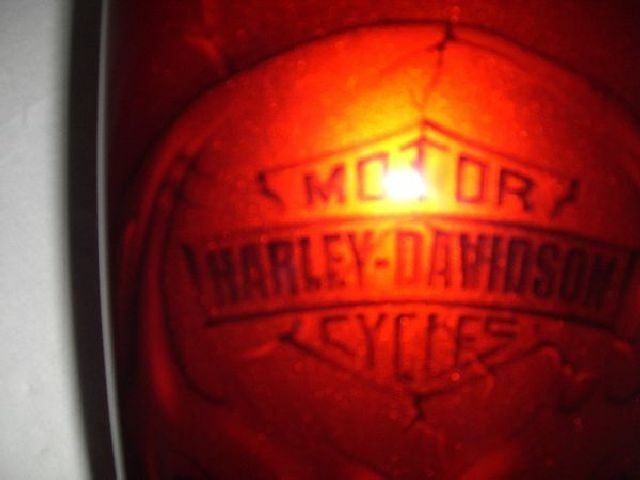 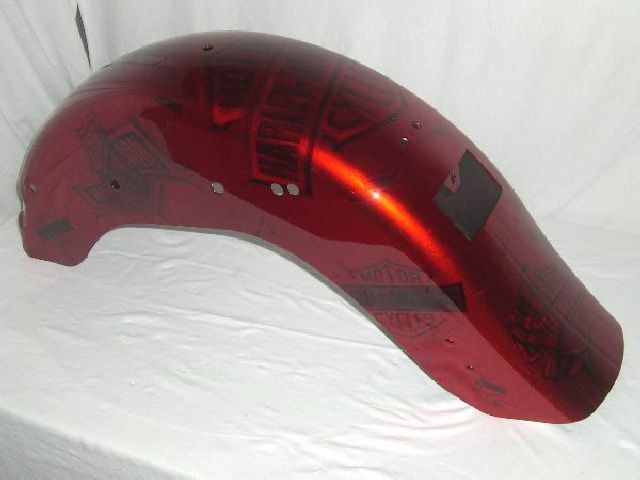 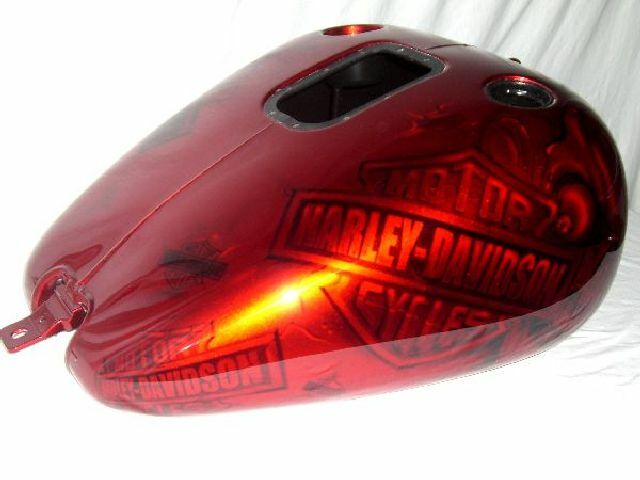 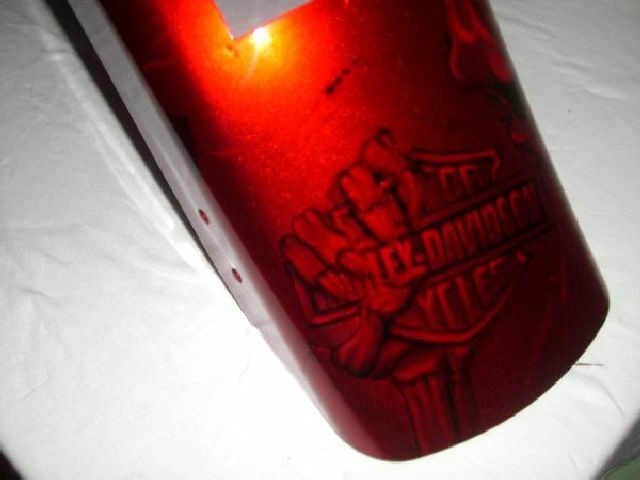 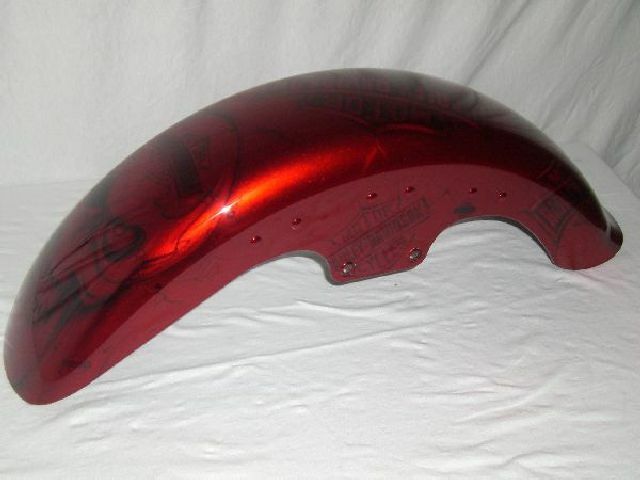 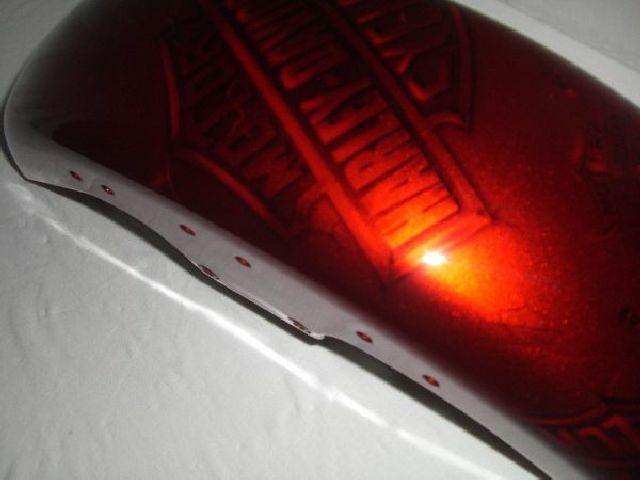 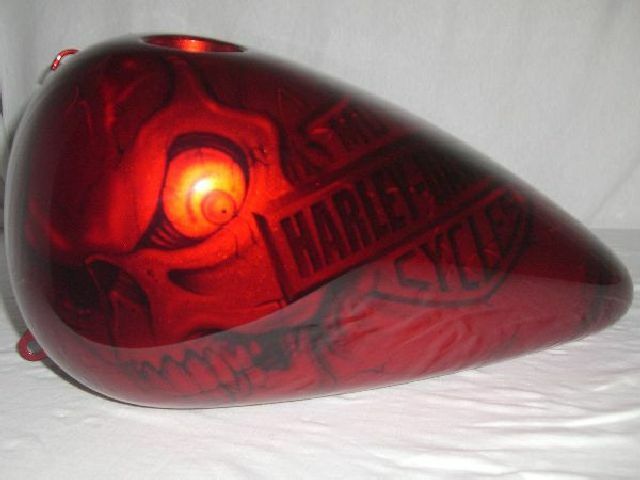 Candy Red over this airbrushed masterpiece of Skulls and H-D Logos adds the appearance that the clear is a mile deep, all the Skulls are free handed by our talented artist. 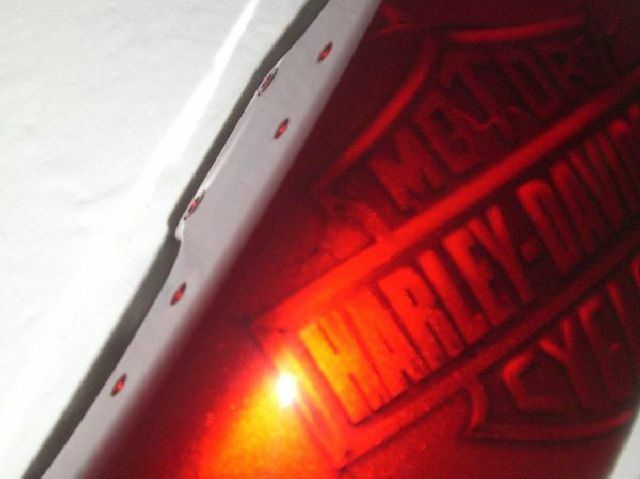 The logos are distorted and stretched across various parts while being buried under the Candy Red. 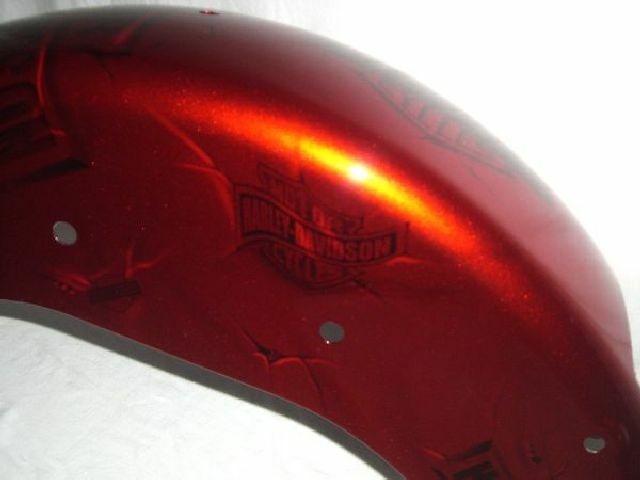 A little more subtle than on the silver base coat but yet stunning. 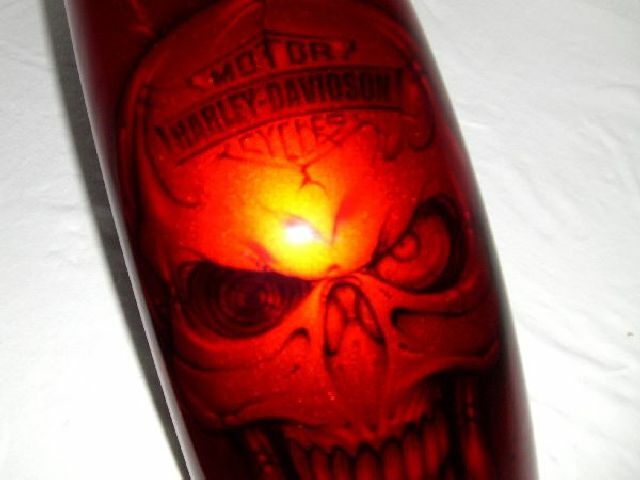 Blue, Green, Gold, Tangerine, Violet, or Teal are just some of the candy colors we can put over this artist collaboration of Skulls and H-D Logos, or we can ditch one or the other, just skulls, or just logos, you choose well do the work.